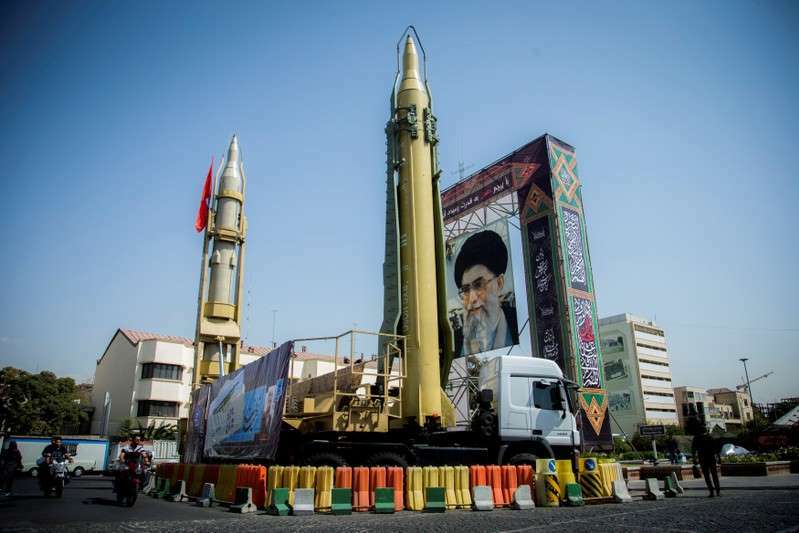 Iran on Saturday rejected a Reuters report that Tehran has moved missiles to Iraq, saying it aimed to hurt Iran's ties with neighbors, the Iranian state news agency IRNA reported. U.S. Secretary of State Mike Pompeo said on Twitter he was "deeply concerned" by the reports that Iran was transferring ballistic missiles into Iraq. He urged Iraqi leaders to quickly form a new government after a May 12 parliamentary election. "Such false and ridiculous news have no purpose other than affecting Iran's foreign relations, especially with its neighbors," Foreign Ministry spokesman Bahram Qassemi said, according to IRNA. Iranian, Iraqi and Western sources told Reuters that Iran has given ballistic missiles to Shi'ite proxies in Iraq and is developing the capacity to build more there. Pompeo, in his tweet on the reports of the transfer of the missiles, said, "If true, this would be a gross violation of Iraqi sovereignty and of UNSCR 2231." He was referring to U.N. Security Council Resolution 2231, which underpinned the 2015 nuclear agreement between Iraq and six world powers. President Donald Trump withdrew the United States from the deal earlier this year and his administration is currently reimposing sanctions against Tehran. Earlier, Pompeo spoke by phone with Iraqi Prime Minister Haider al-Abadi "to reaffirm U.S. support for Iraq's efforts to form a modern, nationalist Iraqi government," State Department spokeswoman Heather Nauert said in a statement. Pompeo emphasized the importance of safeguarding Iraq's sovereignty during this critical time, she said. Any sign that Iran is preparing a more aggressive missile policy in Iraq will exacerbate tensions between Tehran and Washington, already heightened by Trump's decision to pull out of the 2015 nuclear deal.